Cradock House consists of five rooms within the main house, as well as two self-catering cottages in the garden. The establishment features barbecue facilities, a swimming pool and internet availability. The Cradock House is a beautifully restored, turn of the century Karoo Homestead, steeped in local history and set on large tranquil grounds. 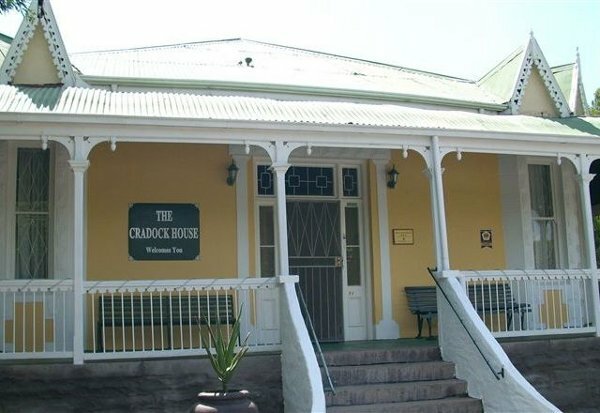 This establishment is in the heart of Cradock, close to all amenities and sport facilities. Relax in the warm and friendly atmosphere of a typical Karoo homestead. A private lounge is available to guests. Cradock House caters for international, local and corporate travellers. Office facilities are available to guests on request. Click here to enquire at Cradock House.